Celebrating our R.E. week achievements! We had an amazing R.E. Week! We had the chance to reflect on how we can love our local and global community. 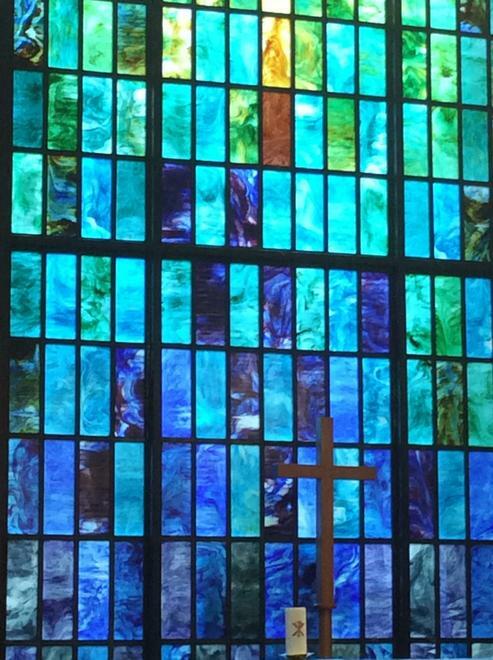 We saw so much love in action and were inspired when learning about how different Religions love their communities. Rupert led a wonderful worship about community. As you know, we had a visit from the local Christian Charity ‘Toilet Twinning’. Thank you for your kind and generous donations towards this cause. We are very excited to announce that we have raised £264.22, which is enough to twin our school toilet block with one in a poor community in Malawi. We also loved our local community by collecting an amazing minibus full of donations for Hope for Food! Thank you all for your generous support. 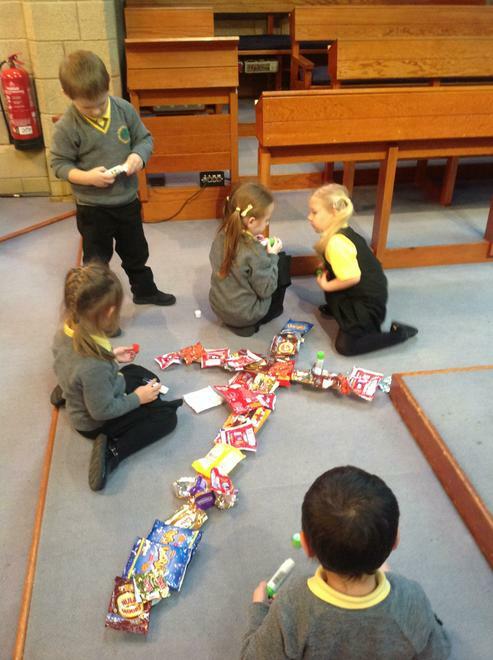 Reception learnt about the Creation Story and discovered how people are polluting the sea. 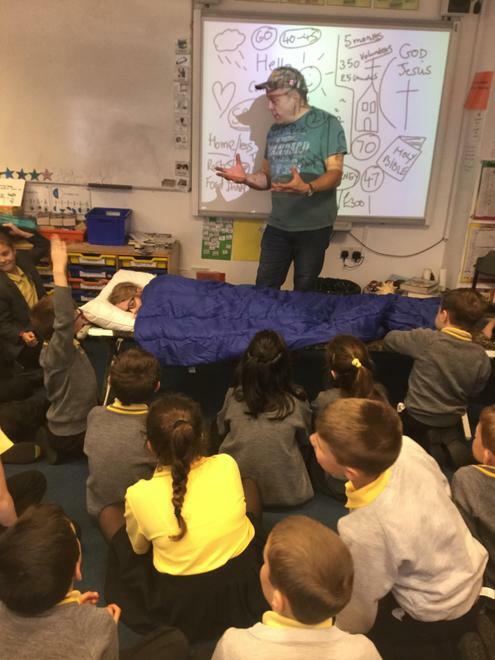 The children discussed what they can do to help care for God’s creation. They used recyclable materials and plastic to create an under the sea creature collage. 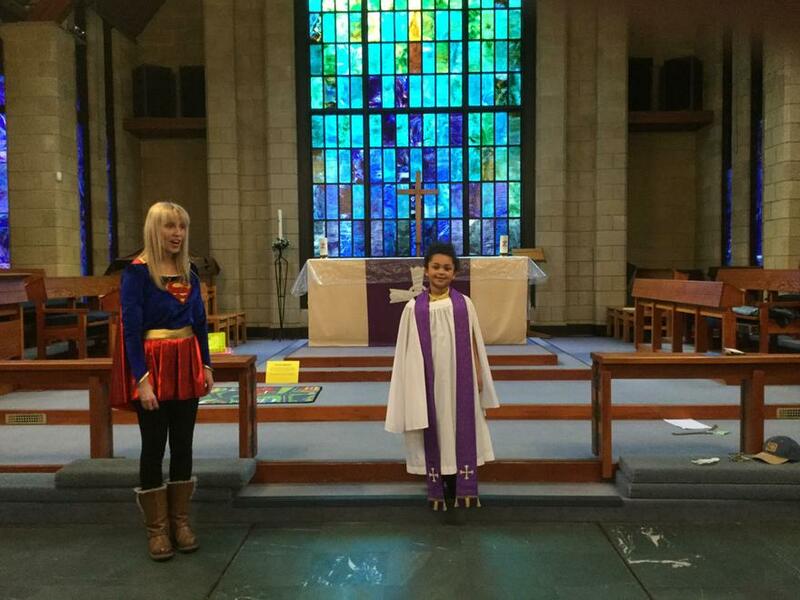 They also visited Alex at the Church and helped her to build a fish tank from scratch! 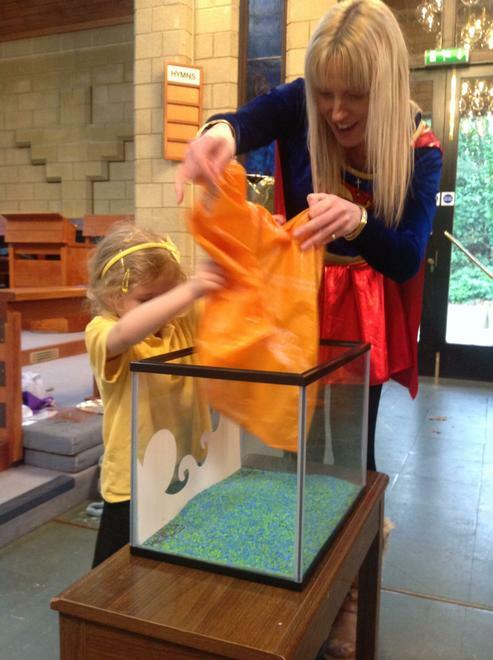 She then showed the children how rubbish could destroy an underwater environment. 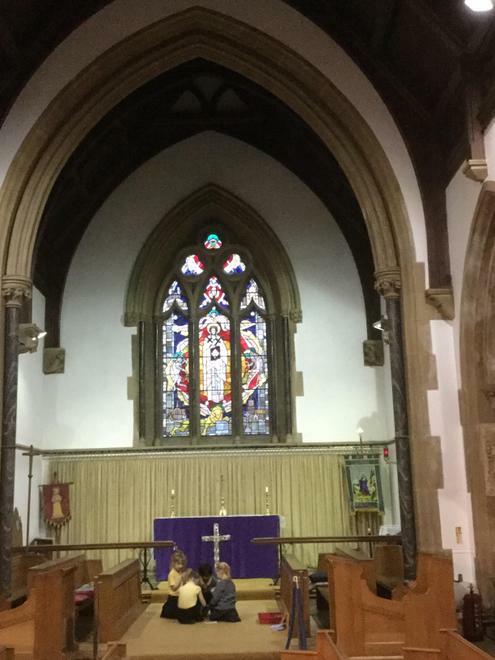 Year 1 also visited Alex at the Church and served the community by singing at the Church Lent Lunch. Year 2 had a visit from Mrs Bonds to learn about the Hindu teachings of community and providing for others. Year 2 loved learning about an inspirational Hindu leader who shared with his community. The children have planted tomato plants and are planning to take their plants to the Community Garden Hub. Year 3 learnt about some Paralympic sports such as curling and boccia. They reflected on disability and vulnerable groups and thought about how the community can care for them. They looked at the Liveability Charity. Year 4 explored community in Sikhism and thought about homelessness in our local community. They worked so hard to make friendship bracelets to sell and raised an amazing £205.20 and they plan to present the money to David Chidwick in from Sleepsafe who kindly came to talk about how churches support homeless people. £25 pays for a bed for the night! Year 5 visited the Orthodox Jewish Synagogue in Bournemouth and made beautiful felt animals inspired by the story of Noah’s Ark. They raised an amazing £102.45 from the sale! 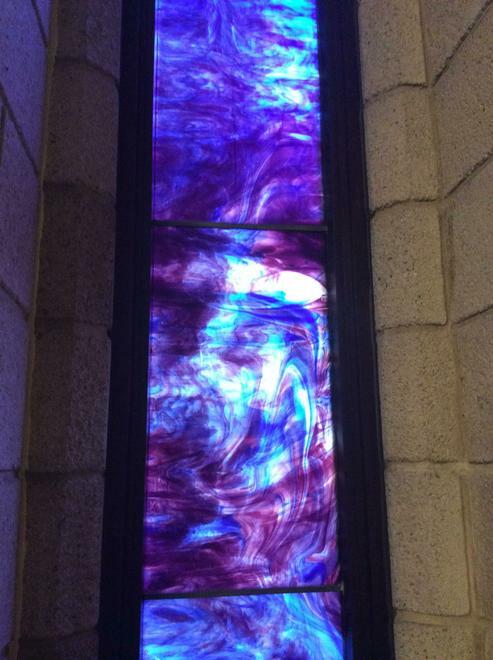 They plan to give the money to the Synagogue. 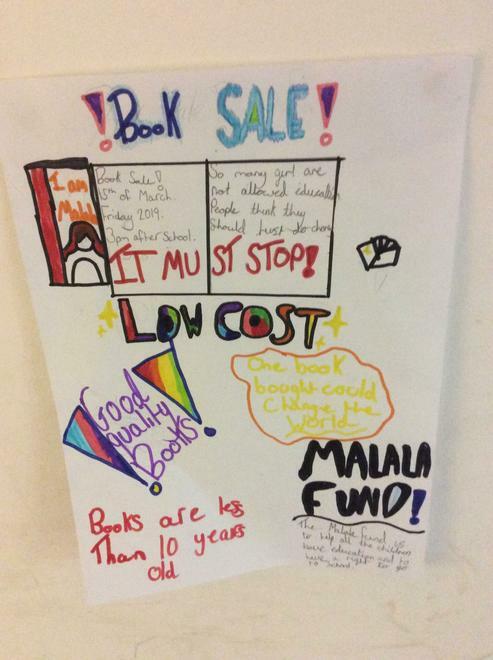 Year 6 learnt about Malala Yousafzai and were visited by Dr Hammadi, a lecturer at Bournemouth University, and raised a fabulous £97.91 selling second hand books. 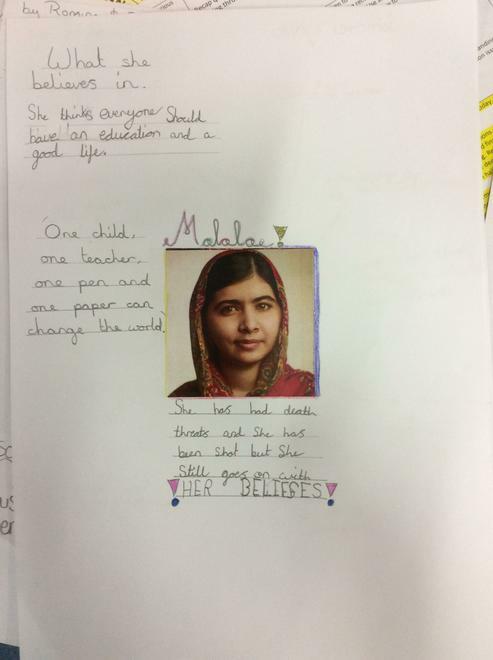 The children learnt about children around the world who have no access to education, and have donated the money to the Malala Fund. Well done for everyone’s hard work and enthusiasm during our community week. It has been so rewarding to know we have been able to support local and global communities with our fundraising.